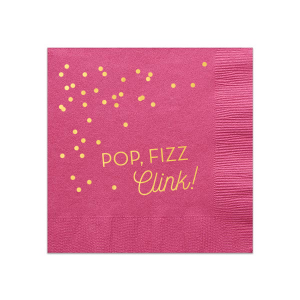 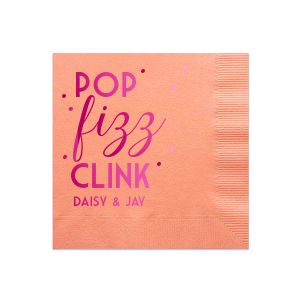 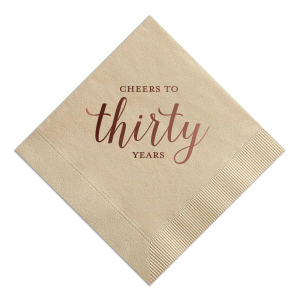 Give your birthday celebration an extra pop of personalization with custom designed birthday cocktail napkins! 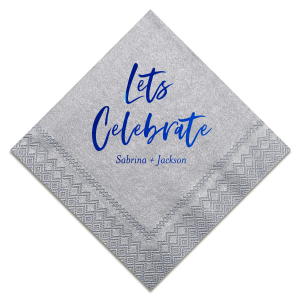 Choose your napkin and foil colors to coordinate with your theme, then shop for the perfect look in our curated galleries or create your own style. 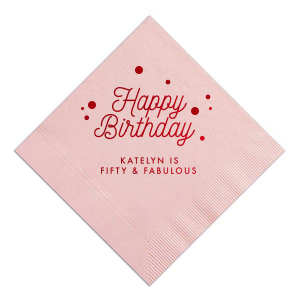 Start designing your custom birthday cocktail napkins today! 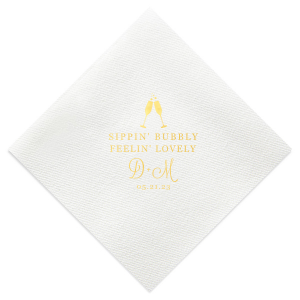 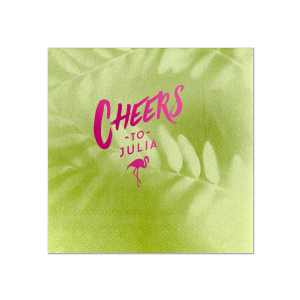 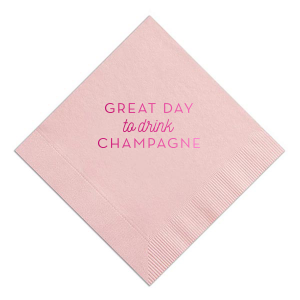 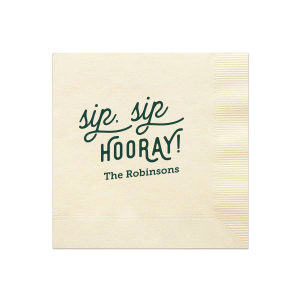 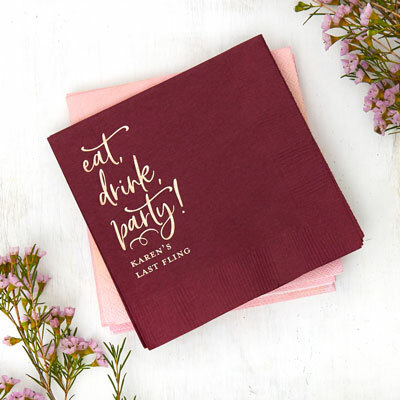 Give your signature cocktails an upgrade with personalized birthday cocktail napkins. 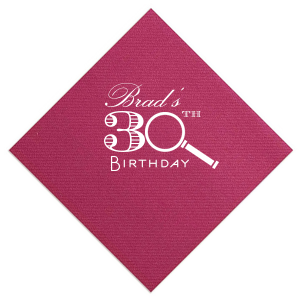 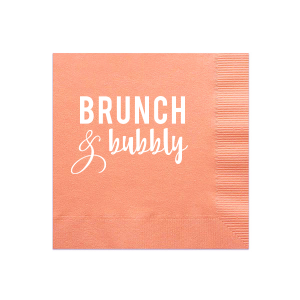 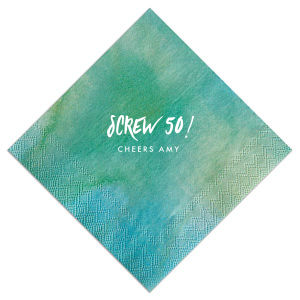 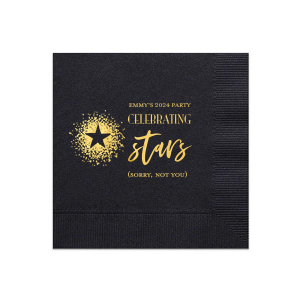 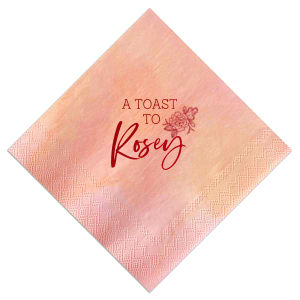 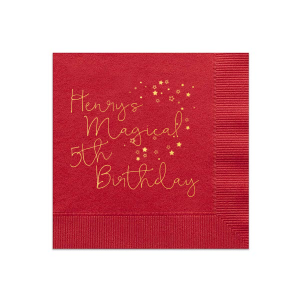 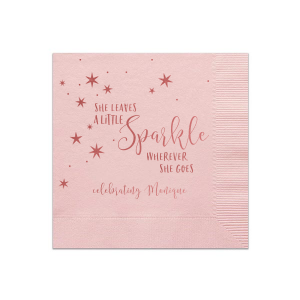 You'll love the endless color combinations of napkin and foil color options, as well as the 1300+ graphics available to customize your birthday cocktail napkins. 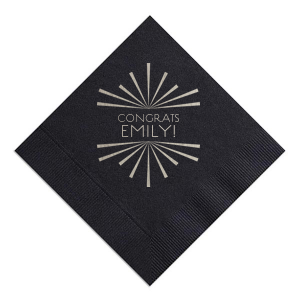 You can even upload your own design the create the ultimately personalized cocktail napkins for your birthday party! 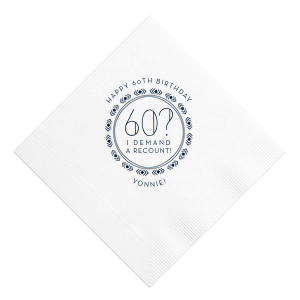 The size of our personalized birthday cocktail napkins makes them quite versatile—use them with drinks, appetizers or cake. 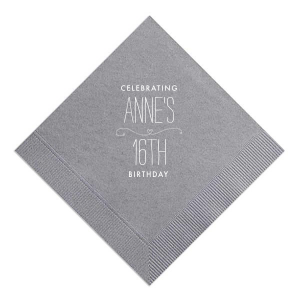 Your party guests will appreciate your attention to detail when they see your beautiful custom designed birthday napkins. 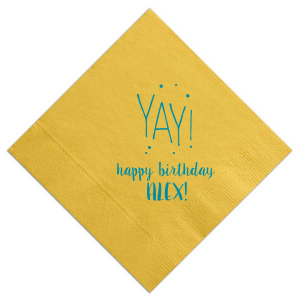 You'll be impressed with the wide variety of napkin colors available for your custom birthday cocktail napkins. 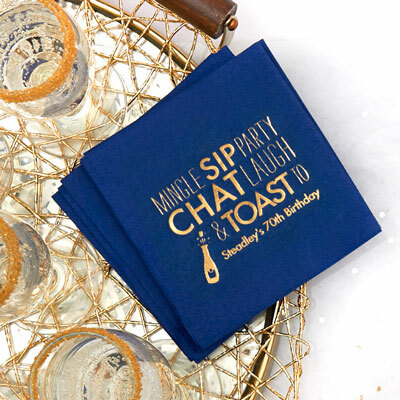 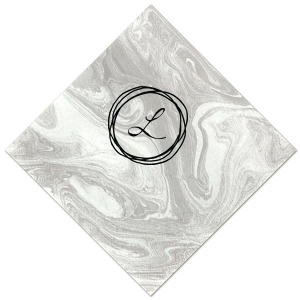 Choose a marble finish or watercolor wash to give your personalized cocktail napkins a unique look any birthday party would benefit from. 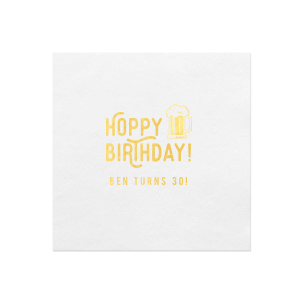 Choose a classic “Happy Birthday” design or opt for a clever “Taco ‘Bout a Party!” design to guarantee that your personalized birthday napkins will bring a smile to your party guests’ faces.